Uttar Pradesh\'s holy town of Vrindavan, where it is said Lord Krishna spent his childhood in ancient times, is faced with a major problem of disposing off its solid waste material. Vrindavan: Uttar Pradesh's holy town of Vrindavan, where it is said Lord Krishna spent his childhood in ancient times, is faced with a major problem of disposing off its solid waste material. Local activists today say the municipal body had failed to address the problem of disposing solid waste, despite the National Green Tribunal's (NGT) directives. 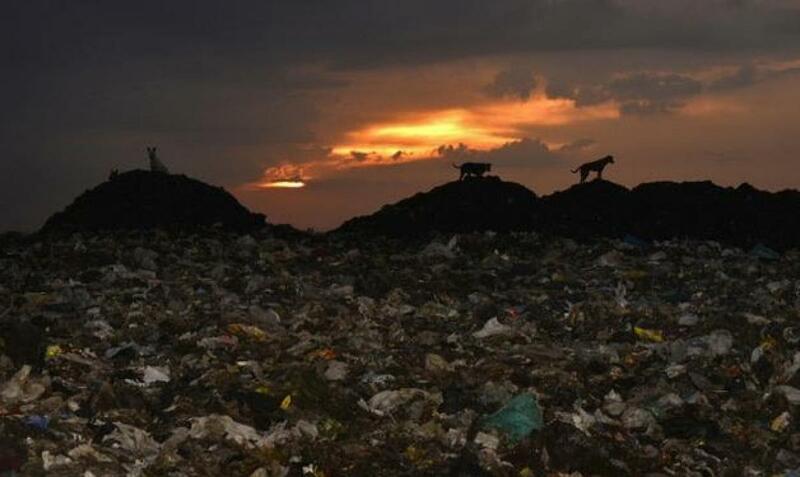 On September 29, the NGT gave the municipal body two weeks to evolve a process and mechanism to collect and scientifically dispose of solid waste. It was directed to develop proper pits, cover the waste with soil and spray disinfectants and seal it with plastic sheets. But a landfill site has been identified and dump the solid waste there so far. But work on spraying and covering is yet to begin. Local authorities have also failed to stop garbage burning in the open. "Heaps of solid waste dumped around street corners are being openly burnt, creating pollution," said "Friends of Vrindavan" convener Jagan Nath Poddar. He said there has not been any check on the garbage being consigned to flames releasing highly toxic pollutants in the air. "The garbage bins kept at various points have not been emptied and cleaned. The tendency is to burn the garbage in the bin itself which become incinerators." "Since there is no mechanism for collecting domestic waste and garbage many households and establishments are seen burning and creating a huge cloud of smoke that often makes breathing difficult," he added. Activists said only the garbage is no more being littered around the river bank as was happening earlier. Considering the quantity of garbage produced by temples and households in Vrindavan, the site for the land fill identified by the municipality is hardly sufficient and likely to get filled up within two years, a resident said. Also, in Vrindavan the municipality does not have a permanent executive officer to execute orders and monitor the working of various agencies.